Ana Kay Yaghoubian currently serves as Director, Education Programs at Adagio Health. Ms. Yaghoubian supervises and manages the Community Education team, providing oversight and execution of the department’s educational programming, grants and program budgets. Ms. Yaghoubian is proud to be a part of an organization that contributes to promoting public health, especially for low-income women and their families. Before coming to Adagio Health, Ms. Yaghoubian was a Senior Program Manager at the American Association of University Women in Washington D.C. where she managed two national STEM educational programs for girls. At AAUW Ms. Yaghoubian was able to build programs across the country encouraging middle school aged girls to see the possibilities in STEM careers and build their confidence around STEM skills and abilities. She has also presented at the AAUW National Conference for College Women Student Leaders and lead trainings for volunteers from across the country. Ms. Yaghoubian holds a Bachelor’s degree in Sociology from George Mason University and a Masters of Public Administration Degree with a focus on Nonprofit Management from American University in Washington D.C. During her time at George Mason Ms. Yaghoubian was inspired to learn about equity, equality and advocate on campus for women, where as a student government leader and head of the Women’s Coalition she developed her leadership skills. Not long after graduating, Ms. Yaghoubian became a community activist with the Washington D.C. Chapter of the Younger Women’s Task Force where, as board member and then Chapter Director, she organized events that focused on issues such as intergenerational feminism, women with disabilities and fundraisers for local domestic violence shelters. 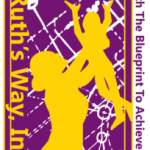 Ms. Yaghoubian and her family moved to Pittsburgh in January of 2017 where she looked for opportunities to further her passion working toward equality for women and girls, which is what led her to Ruth’s Way. She is excited to serve as a member of the Board of Directors and hopes to make a difference in the lives of Pittsburgh girls.